The cat won't have your tongue when it comes to talking about this cat pendant necklace from Gucci's Le Marche des Merveilles collection! Crafted in aged sterling silver, the fabulous feline head pendant is embellished with white and grey diamonds, with a pearl set into the animal's mouth.The 18K gold chain, measuring 14" to 16", has a clasp closure. 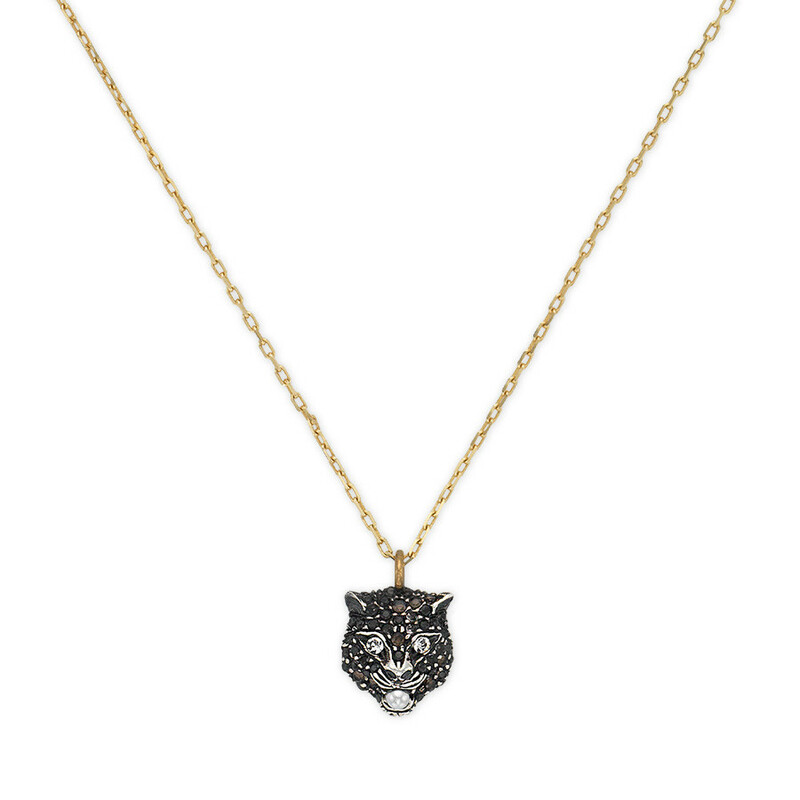 This Gucci pendant necklace is purr-fectly mew-velous.